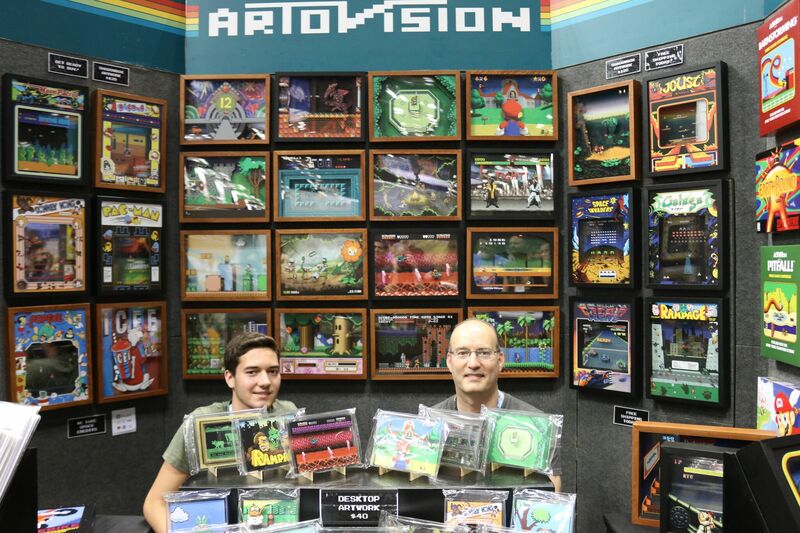 Gen Con 2019 marks the 10-year anniversary of Entrepreneurs’ Avenue, and 36 exciting companies from around the world will set up their booths in the Exhibit Hall for the first time. Demo hot new games, discover up-and-coming publishers, and help us welcome the best and brightest newcomers to the tabletop gaming industry! To see all of last year's Entrepreneurs' Avenue companies, you can use the 2018 interactive map! Click on the booth and then the company name to visit their website. This year's Entrepreneurs' Avenue companies will be announced soon! Six of the top applicants accepted into Entrepreneurs’ Avenue will be awarded Marketing Fellowships, providing them greater exposure through expanded booth space and on-site marketing. We're proud to announce our Marketing Fellows for Gen Con 2019: Hobby World , KLASK, Shadowborne Games, Bicycle, Para Bellum Wargames, and Sweet Games! Hobby World is an international board games publisher and developer well known for its focus on high-quality games featuring stunning graphics, engaging gameplay, and deeply-developed worlds. Established in 2001, Hobby World has published many award-winning board games, including the Spyfall series, Viceroy, Master of Orion, Bastion, and more. At Gen Con 2019, they have a booth for the first time, and they are doing it big! They are excited to unveil their main showcase, Deranged — an ominous American-style adventure survival game, where you’ll fight not only horrific monsters and your rivals, but also your inner demons! Hobby World is also happy to premier Spyfall: Time Travel — the long-awaited threequel in the hit Spyfall series, and The Golden Sails — a bright and neat set collection drafting game. Stop by their booth to check out the new games and don’t miss your chance to get a promo location for Spyfall: Time Travel! Late December 2013, after long days and nights spent in his workshop, Danish carpenter Mikkel Bertelsen had something truly unique in his hands – a wooden board game with magnets which one steers under the board. Just in time for the holidays, he made a few copies of the game for Christmas presents to some of his friends. Soon after, the word spread through the country and orders started to pour in. The following year Mikkel built more than 3000 copies of the game in his garage. KLASK was featured on national TV and awarded a special prize on the Danish Game of the Year competition. KLASK is like an action-packed table-top version of Air Hockey, only it uses multiple magnets and a small round ball. The game is small enough to fit on a table-top but large enough to withstand intense, competitive gameplay. KLASK – do you have what it takes? In a forgotten corner of the world there is a deep cave where a hammer rings on metal. The sound of the forge forms the rhythm for everything happening below. In the bowels, blind artists daub murals in the dark whilst sculptors, working by touch alone, form monsters from the wet clay. Madmen babble ludological absurdities and inch by inch something coalesces in the inky blackness. For years it has grown, feeding on the cave dwellers, gorging itself on their minds. Now it is full grown, mature, dangerous! It knows there are many minds beyond the cave mouth, now to find them. It is ready to claw its way out of the cave. It is ready to be seen. For the first time the continent will experience what emerges from the shadows. A monstrous game like nothing else. Since 1885, over one billion BICYCLE® branded decks of playing cards have been sold around the world. In 2019, BICYCLE® is launching a new tabletop gaming studio with some exciting new releases! Shuffle Grand Prix™ is a racing card game for 2-4 players ages 13 and up where you sabotage other players, earn trophies by forcing opponents to spin-out, and out-distance competitors to win the race. Shuffle Grand Prix™ features amazing artwork and is a great gateway game for the casual player. It’s Blunderful™ is a card-based party game for 4-8 players ages 17 and up where you wager how others will react to life’s awkward situations. Bungle an interview? Botch a date? Blurt out something stupid? We’ve all been there! Find out how much friends are willing to bet they know you with It’s Blunderful! BICYCLE® playing cards and games are produced by The United States Playing Card Company. Para Bellum Wargames is a passionate, dynamic newcomer in the market of miniature wargames and boardgames. Their flagship title, Conquest: The Last Argument of Kings (launched Q2 2019), is a mass combat miniature wargame, with a multitude of factions and armies in the making. Set in an original, gritty, and mature fantasy world of vast depth, Para Bellum features high-quality miniatures and a ruleset designed by industry veteran Alessio Cavatore. Para Bellum prides itself on being, “a ragtag group of gamers, whose proper jobs are artists, sculptors, and writers. Our cradle was a rented storage room, filled with tables, glass displays, and the smell of paint and plastic.” Today, they are headquartered in Cyprus with offices in the USA and Greece. Sweet Games is a French boardgame publisher known for popular titles such as The Grizzled and Kreus (published by CMON). This year at Gen Con, Sweet Games is proud to present three new games to the international gaming community: Trôl, Zombie Bus, and Seeders-Exodus. Exodus, the first game in a series of 10 in the science-fiction line Seeders From Sereis, will be published in English for the first time this year. A hit in Europe, this competitive game provides players a unique and memorable gaming experience, featuring immersive art and luxury materials. Sweet Games' presence at Gen Con this year, their first exhibition in the United States, is a unique opportunity to discover this masterpiece and be welcomed as a new member of the Sereis community!